Has it ever dawned upon you the impact of great print? If you’re like us, you’re much more likely to pick up printed materials if they catch your eye, than if they are flimsy and dull. The difference good quality stock and finishes can make is phenomenal. 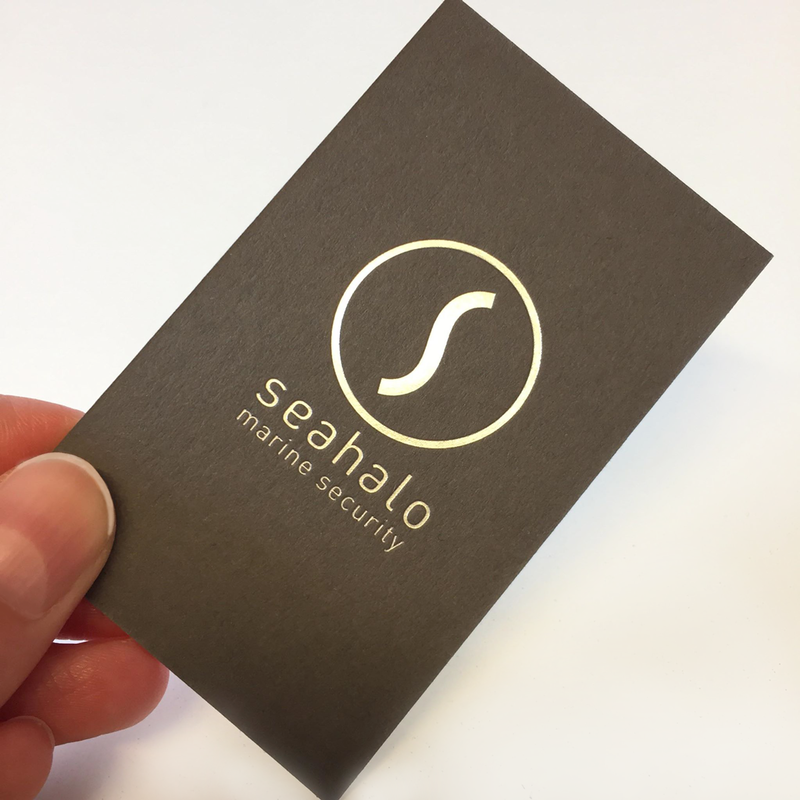 From business cards to brochures, different print options can really help to heighten your brand identity and attract your target audience. You’d be surprised what message you convey just through the use of stocks and finishes. Gloss: Gives the printed material an ultra-smooth, shiny appearance. Silk/satin: Gives the printed material a smooth, velvety feel with a slight sheen. Matt: Gives the printed material a non-glossy, flat look with very little sheen. Textured: Tactile with a grainy feel, works best with less ink coverage. Recycled: Natural tactile feel, the paper is usually more of an off-white colour due to the production process. Technique: An area of the stock is raised to make it stand out from the background. Result: Creates an air of luxury and elegance, due to the tactile nature of the subtle finish. 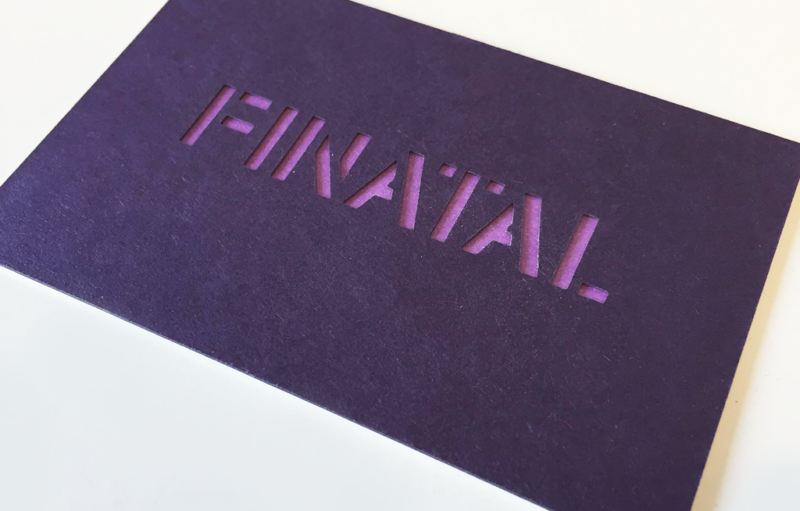 Technique: The opposite of embossing – it creates an indent in the stock, adding physical depth to the design. Result: Again, creating a subtle tactility, which feels luxurious. Technique: A specialised tool called a die is applied with pressure to the stock, which cuts out shapes or designs. Result: Produces impactful, bold designs with a point of difference. 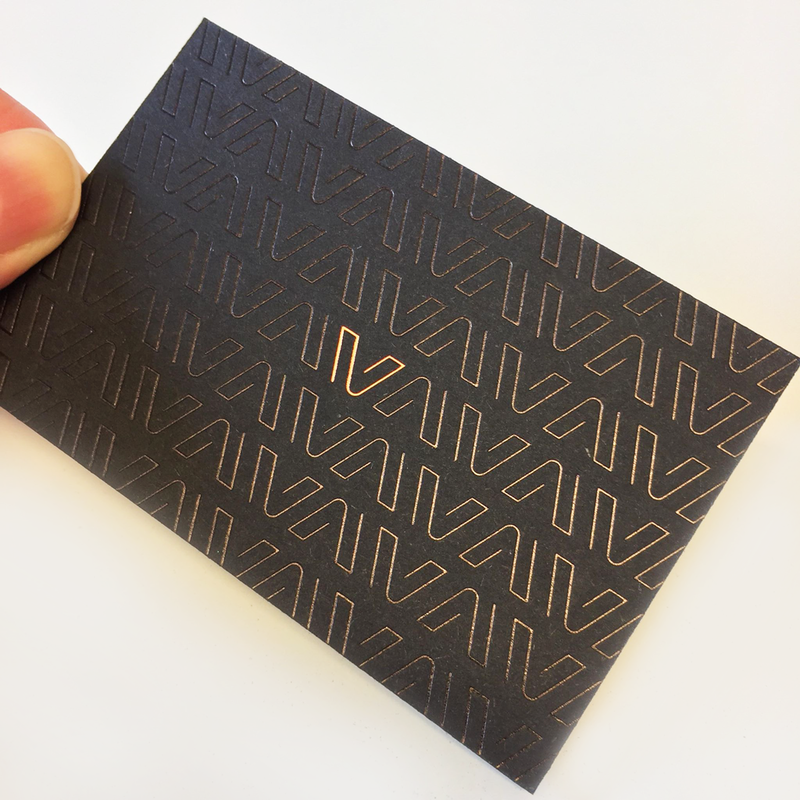 Technique: The application of metallic foil to paper or card, using a heated die tool. The finish is only applied to specified areas. 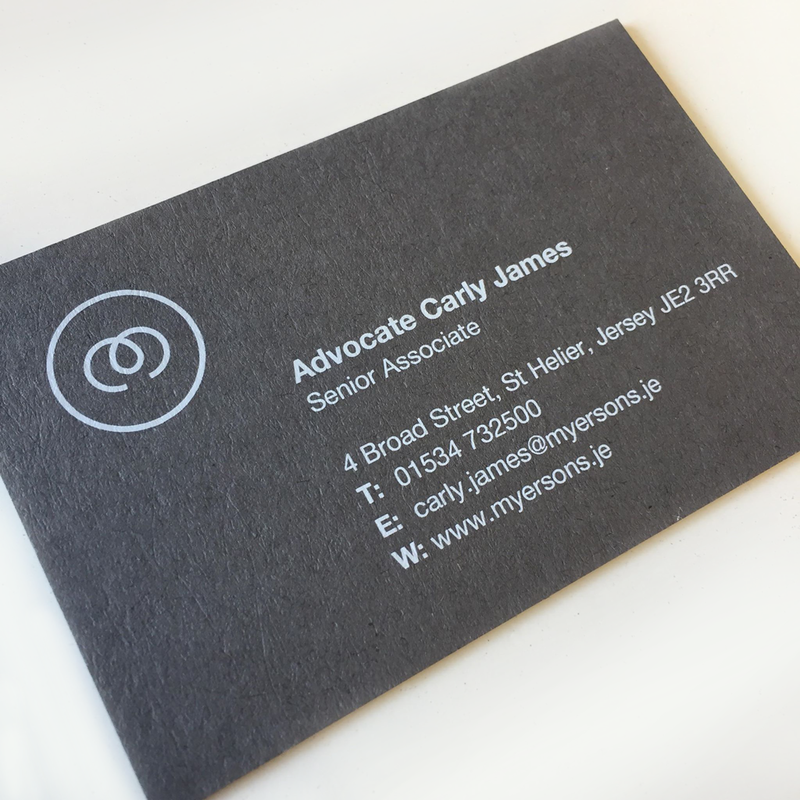 Result: Often metallic in appearance, although many options are available, foiling provides a high-end appearance. Technique: The application of a high-gloss varnish to a specific area of the design. Result: Makes the area stand out against the surrounding matt stock and adds a secondary texture. 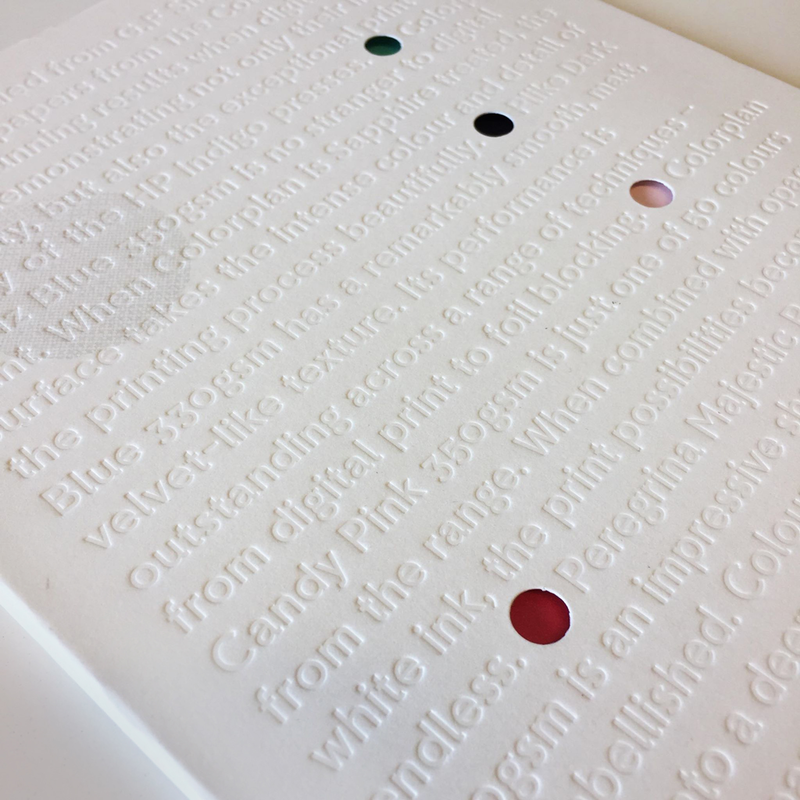 Technique: The process is similar to standard printing; however multiple hits of white can be applied to increase the intensity of the colour. 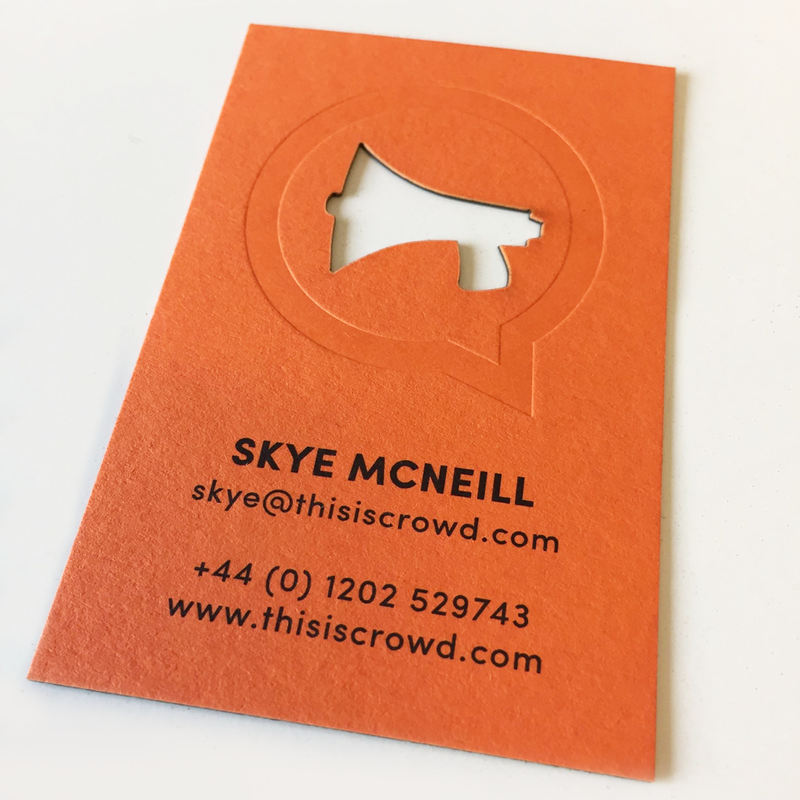 Result: The ability to print on coloured stocks, achieving best results on dark colours. 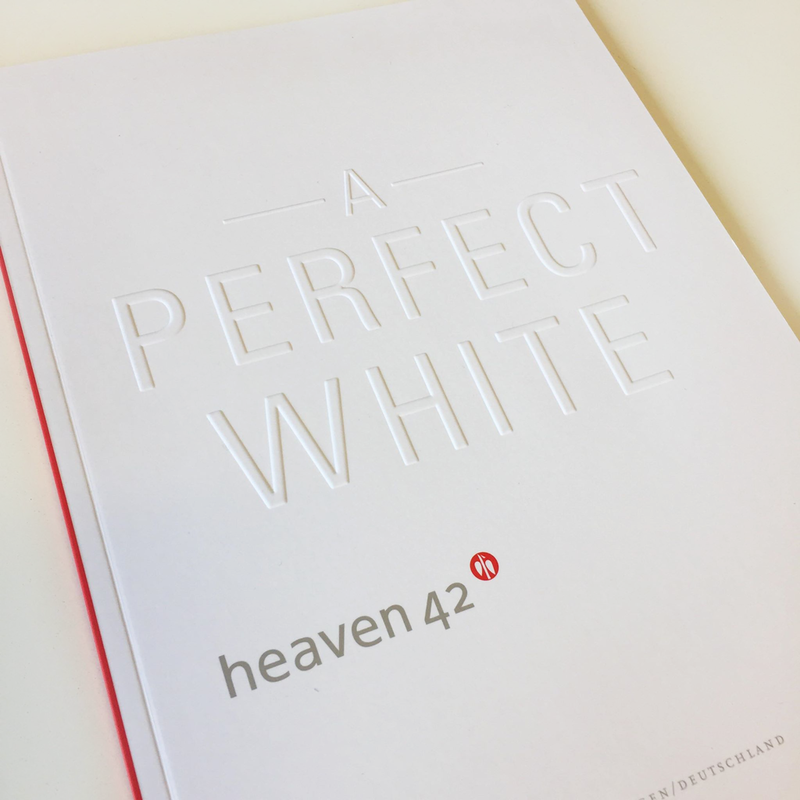 White ink provides the best result for small detail printing, as opposed to white foiling. These are just a few of the many stock and finish options, if you’d like to find out more, we always love a chat, and would be happy to go into further detail about the different results that can be achieved. Are you currently looking at design and print options? Why not use our PAYG approach to design your printed materials? With reduced costs and an increase in productivity (as we can get straight to work without the need of creating quotations), it’s a win-win all round! Get in touch to speak to our Glow designers about PAYG and to find out which stocks and finishes would work best for your specific requirements.